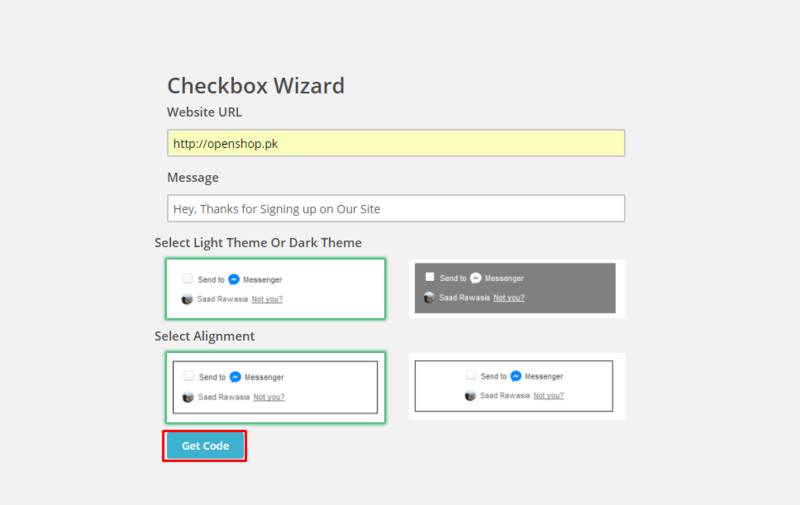 Checkbox plugin works with any website in the world, including yours. Whenever someone checks this plugin it becomes your audience, to whom you can send instant welcome message on Facebook through your brand's Facebook page and also anytime in future whenever you have new alerts or updates for them. You can also include the plugin on an e-commerce website, where you wish to send receipts and order updates to the user directly to their inboxes. First and foremost, You will need to be logged in with your Facebook account. 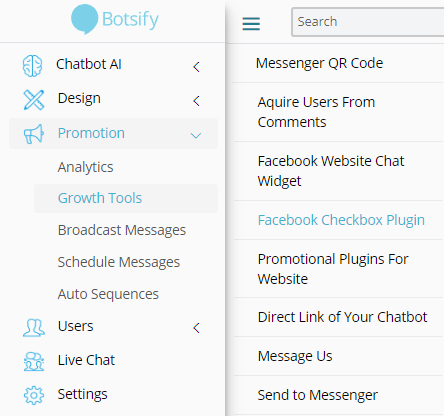 Now go to your Botsify dashboard. On the left bar click on “Promotion”. In this drop-down you will see “Growth Tools” click on it. Now the left bar will widen up with another bar. Simply go to “Facebook Checkbox Plugin” feature. This page will show all pages that are connected or made with your Facebook account. And if you have not connected any pages yet simply click on “Connect a Page” in the center of the screen. Connect with one of the listed pages and click on “Create Checkbox Plugin” button on the top right corner on the same page as shown down below. After clicking on “Create Checkbox Plugin” button a checkbox wizard form would appear. Insert the website URL where you will use the plugin and the message that you want to send to the user who has checked on the plugin and submit it. 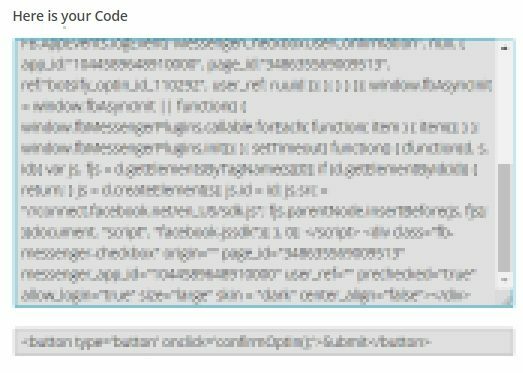 After filling all the fields click on “Get Code” Button and the Code will be given to you. Paste the Code on your website wherever you want to use the Checkbox Plugin and start Collecting leads.